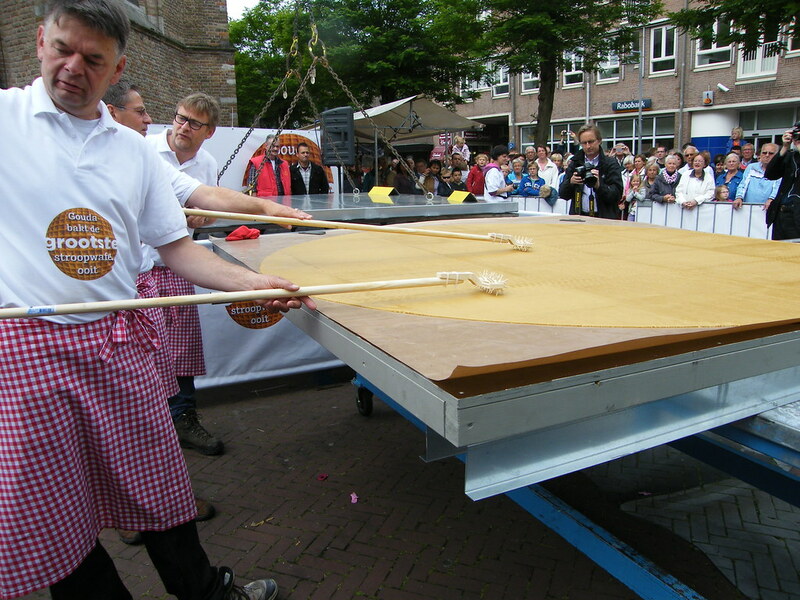 It took sixty kilos of dough, fifteen kilos of syrup and a 3,000 kilo baking iron. 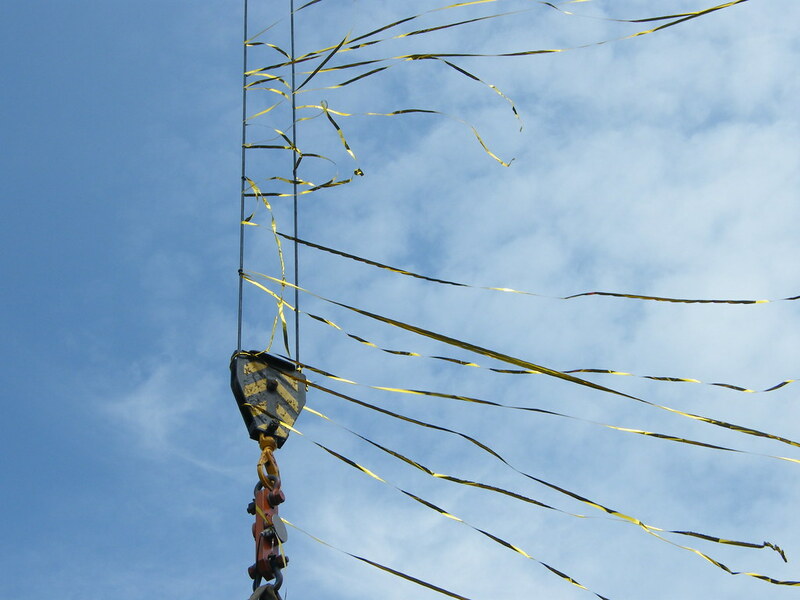 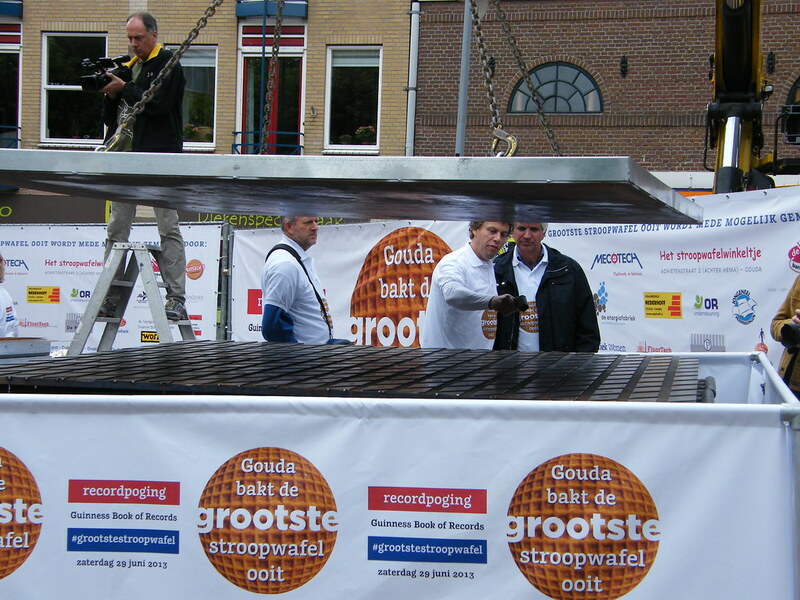 A crane was positioned to hoist up the upper baking iron. 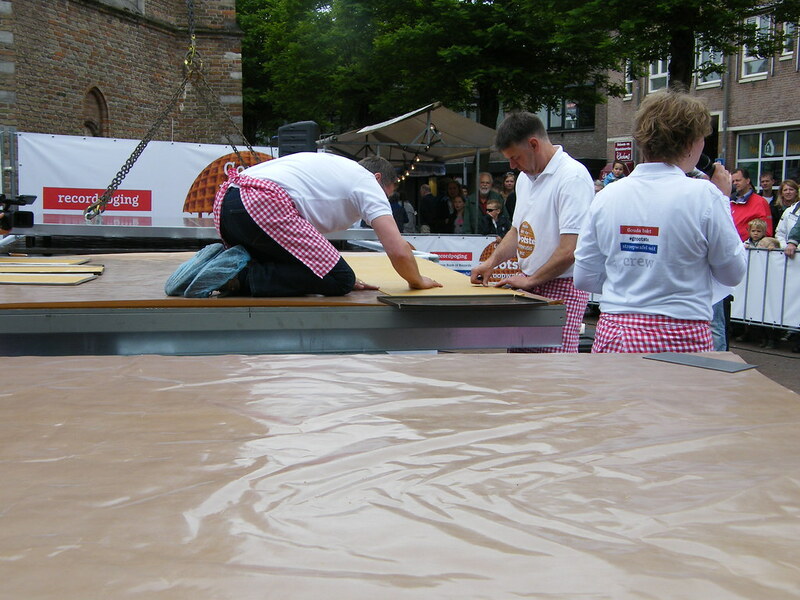 Wether or not they would succeed was exciting until the last second. 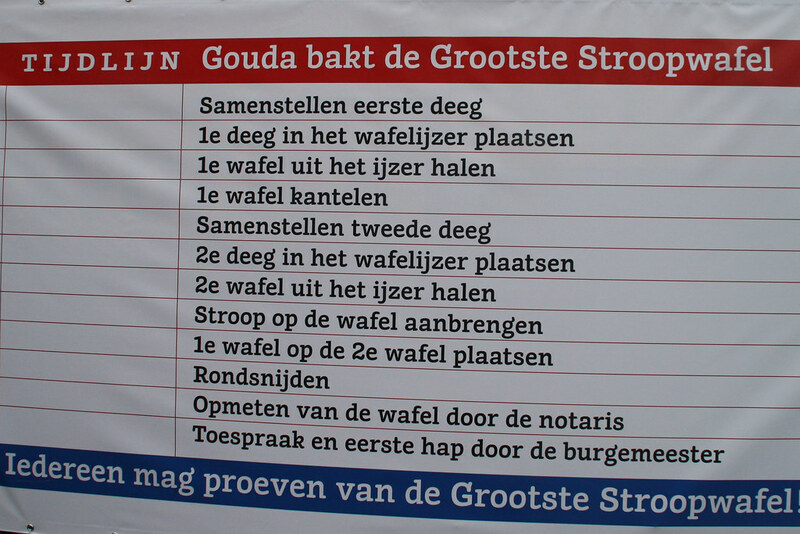 But at 3h00 p.m. civil law notary mr. J.H.A. 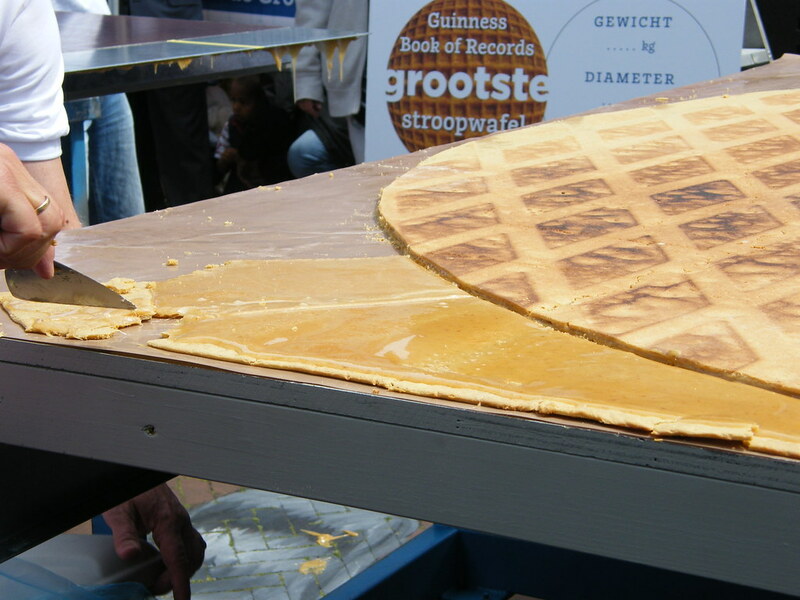 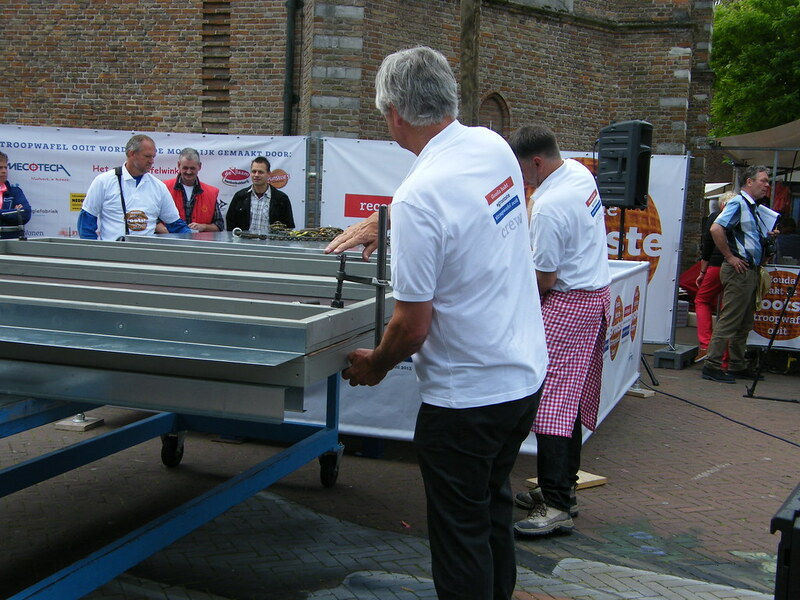 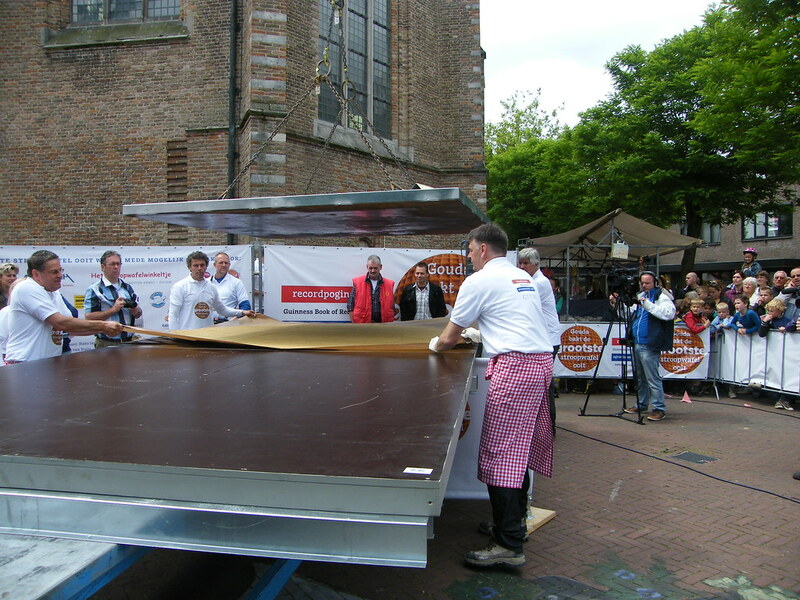 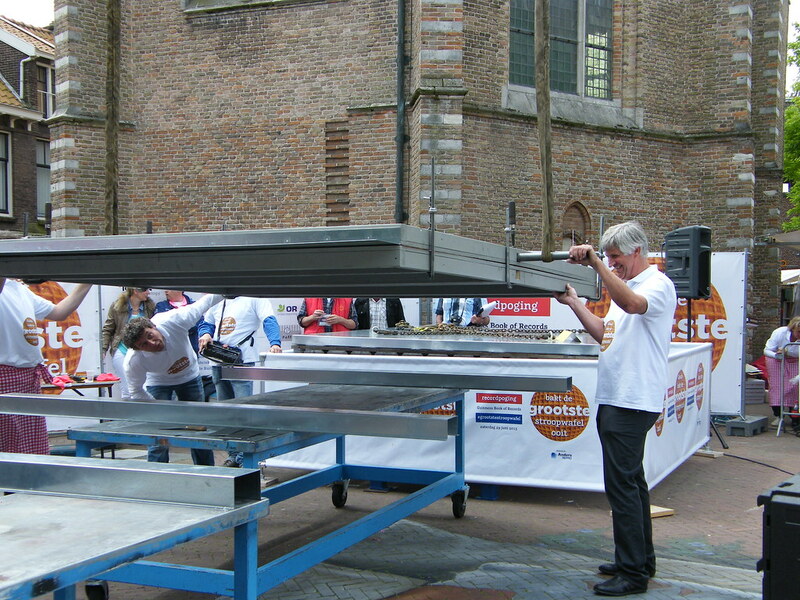 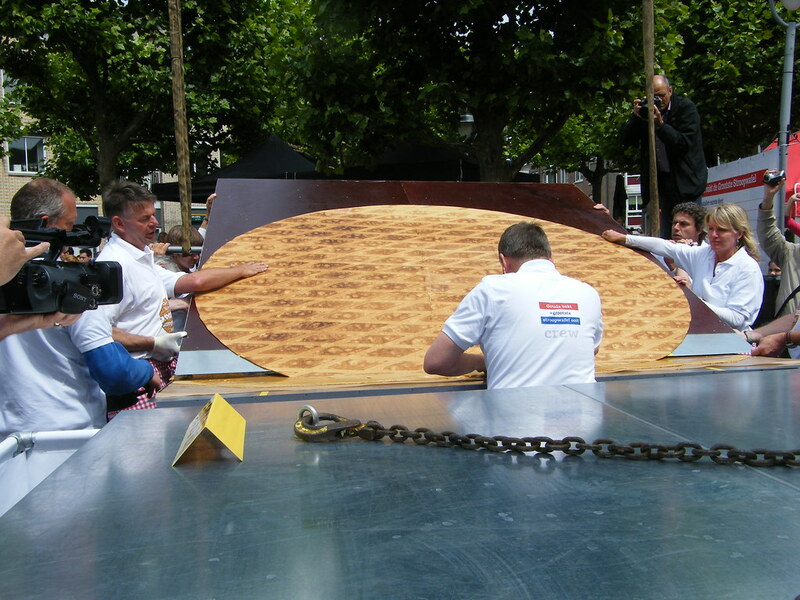 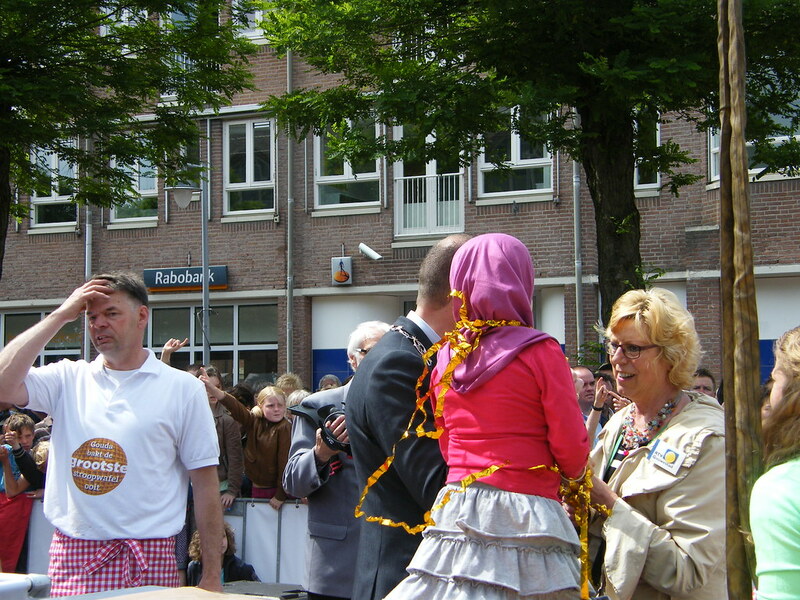 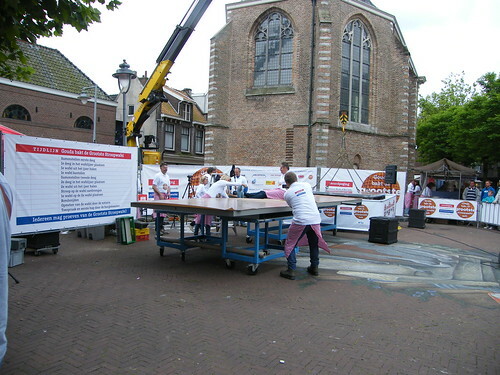 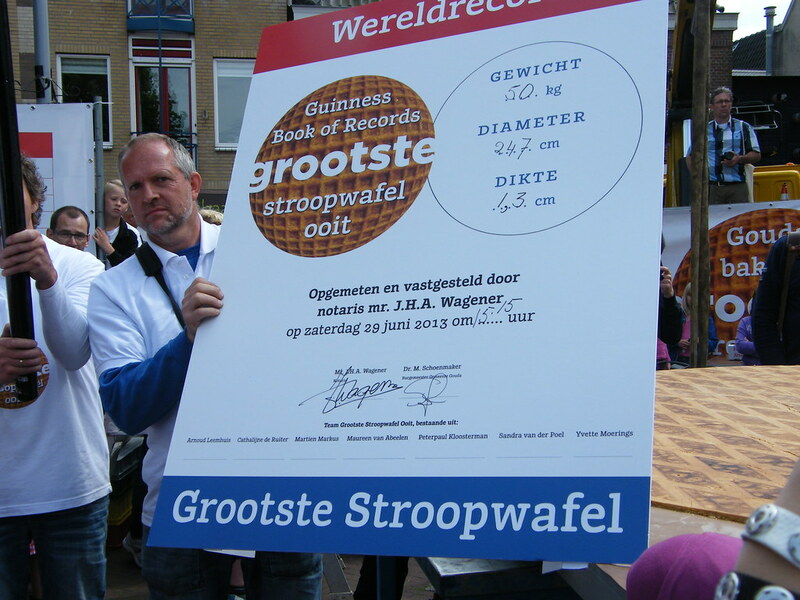 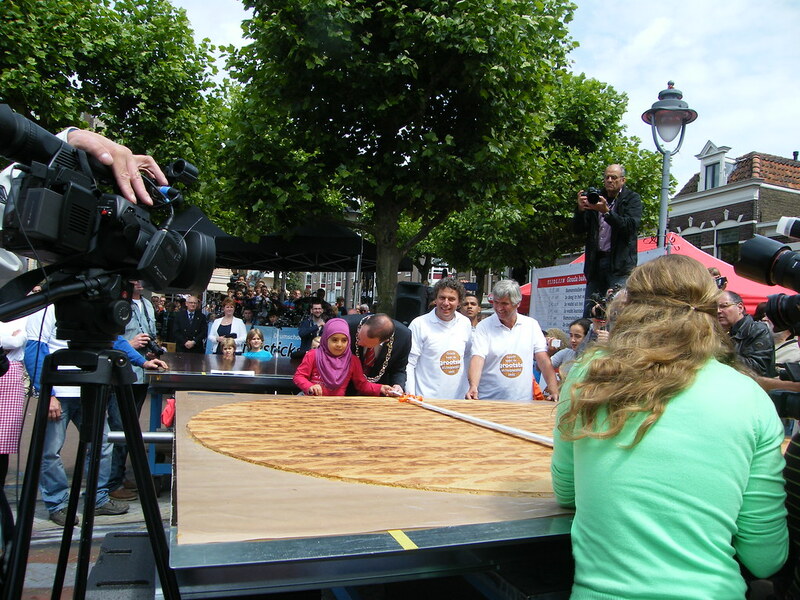 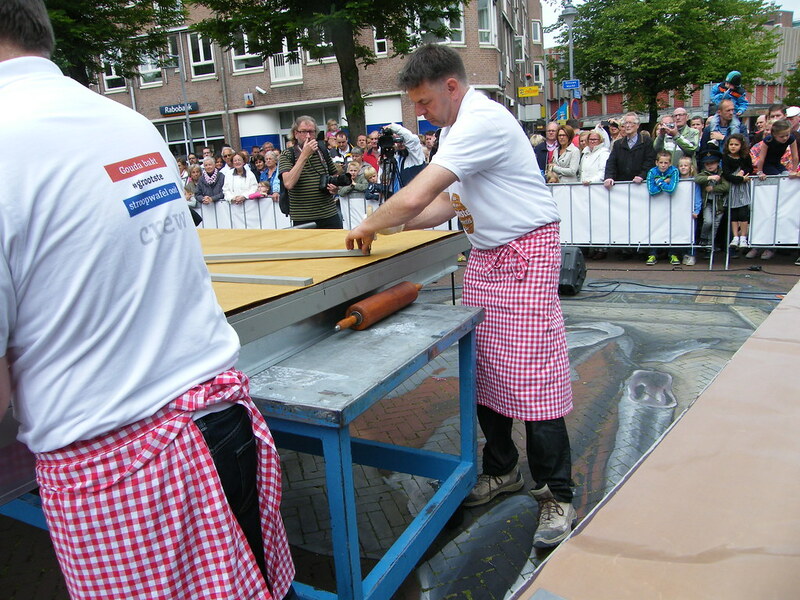 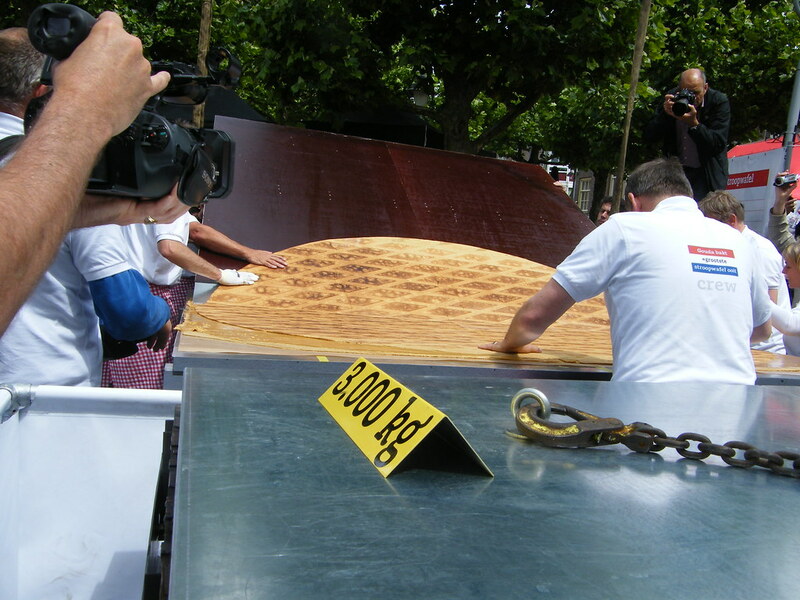 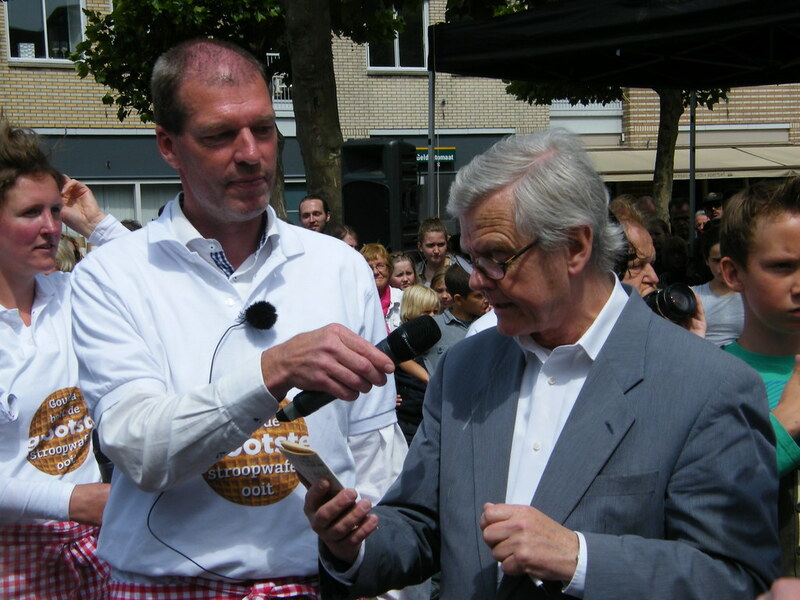 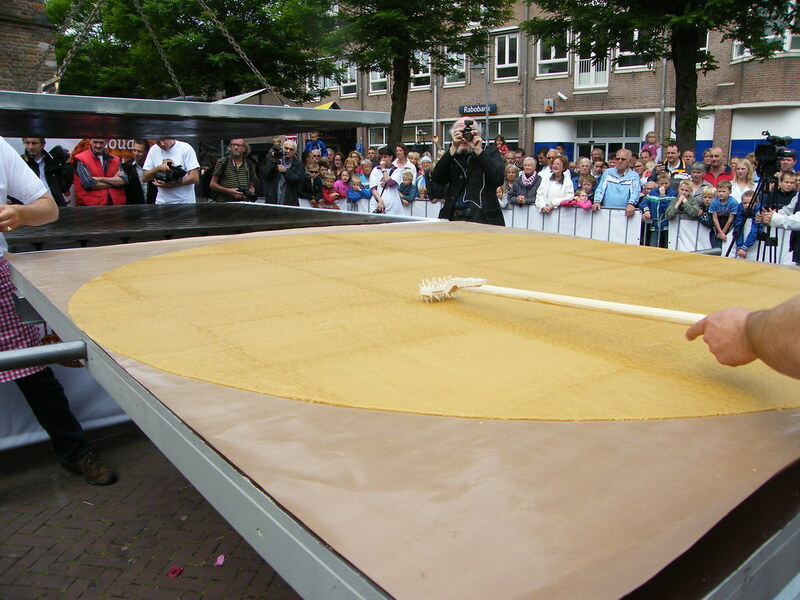 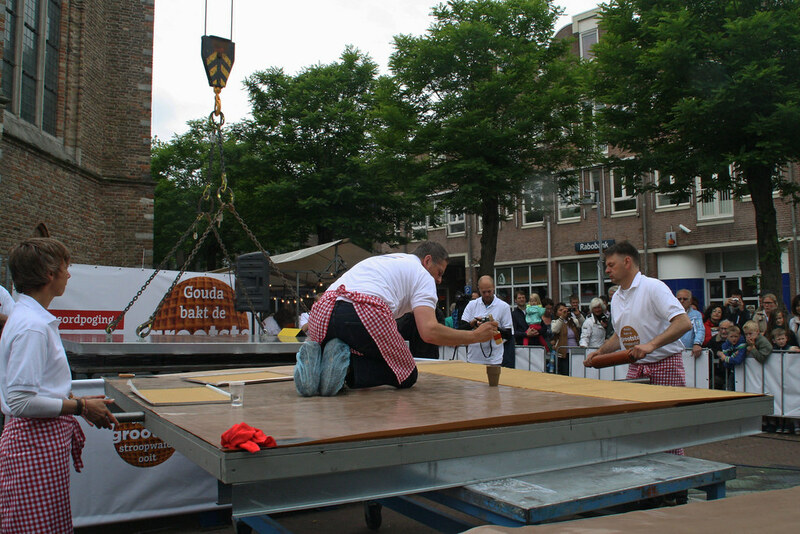 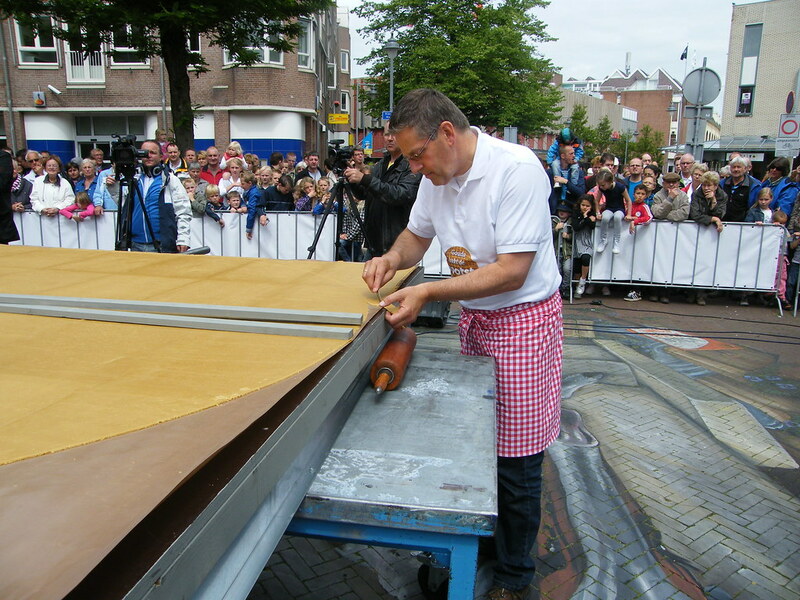 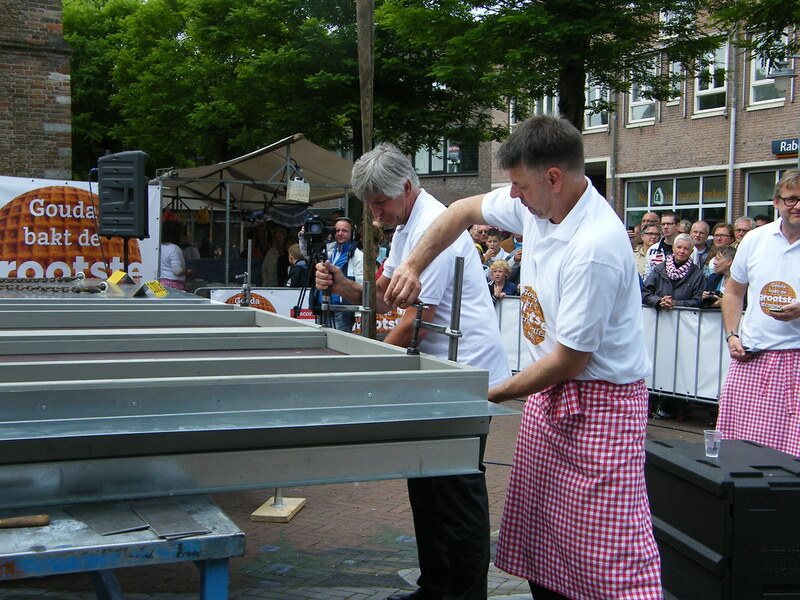 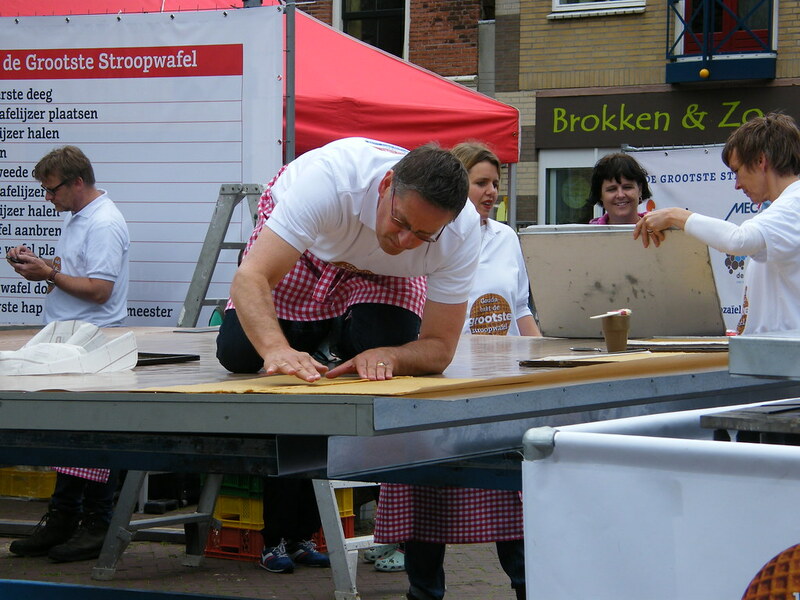 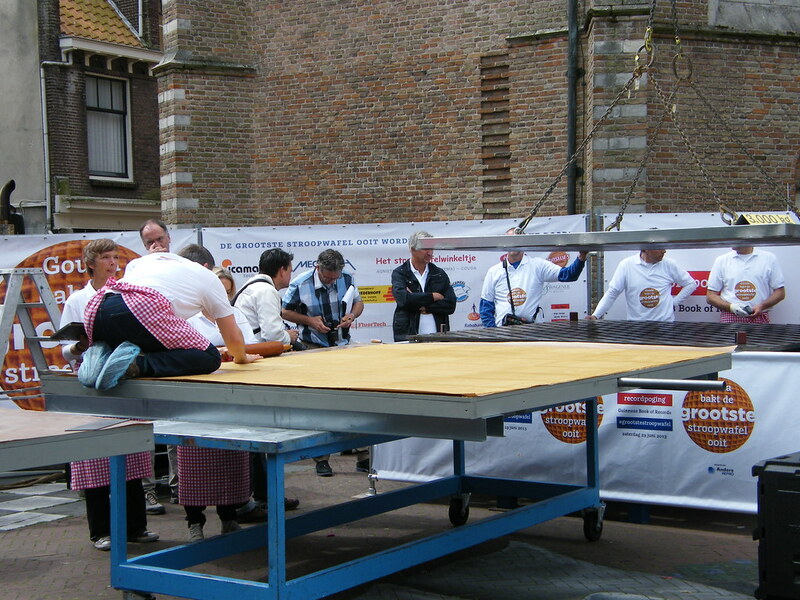 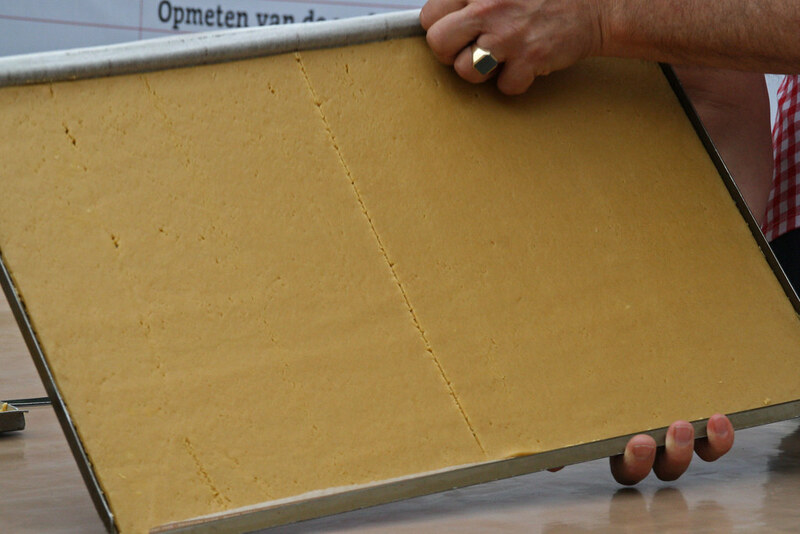 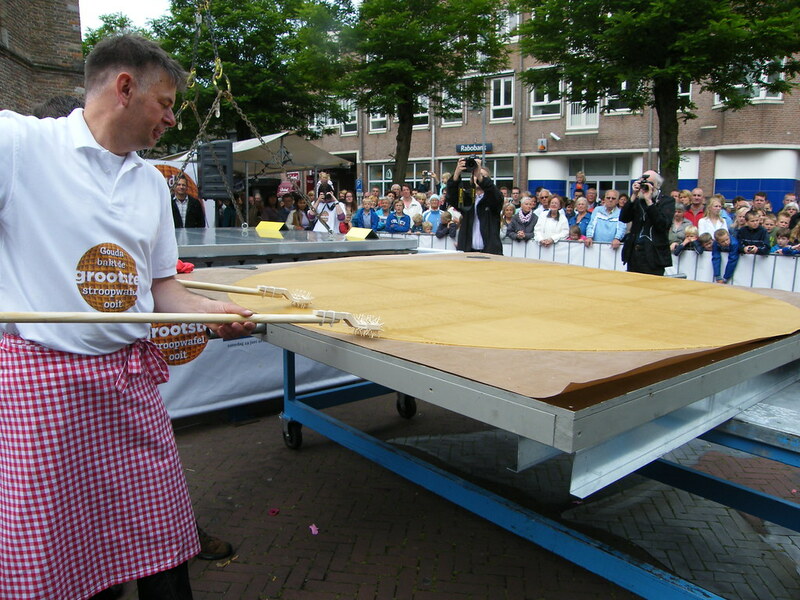 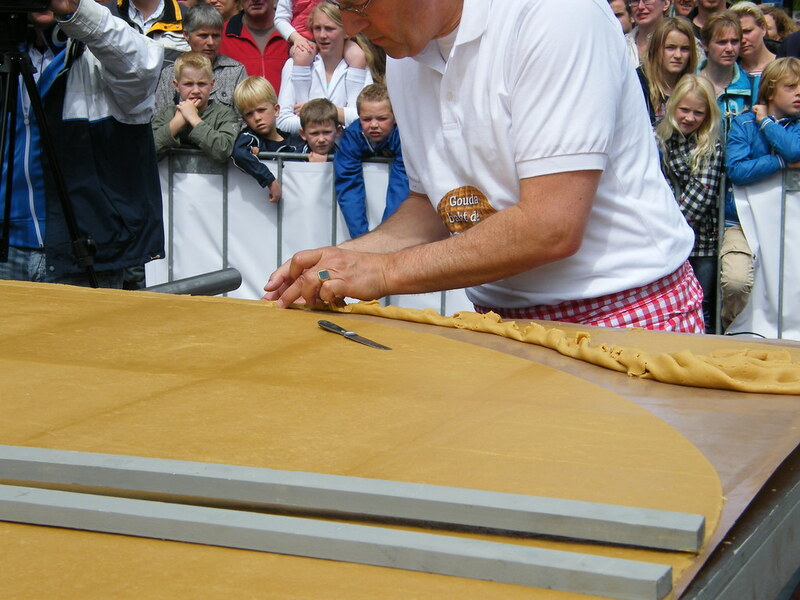 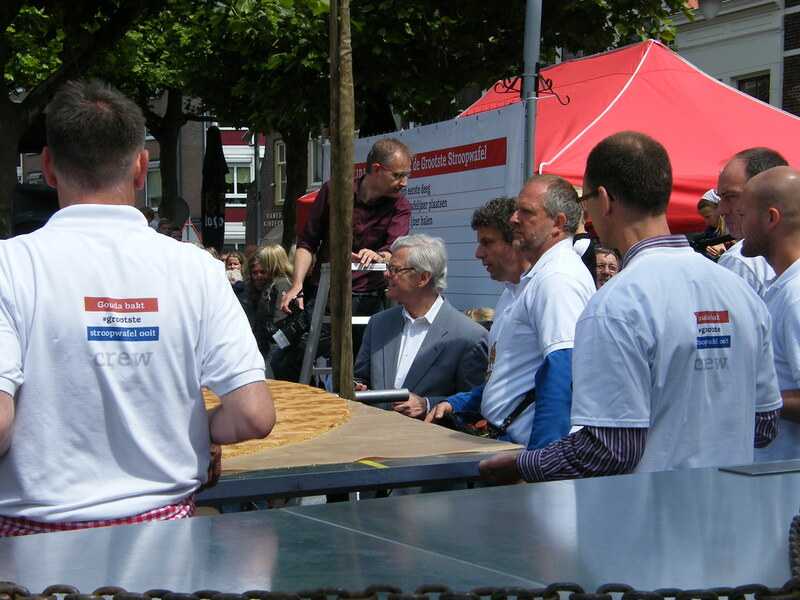 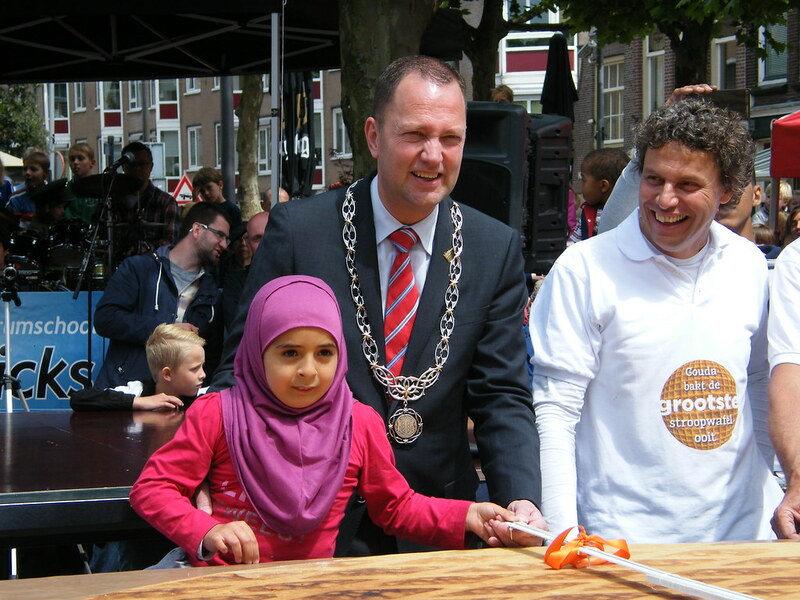 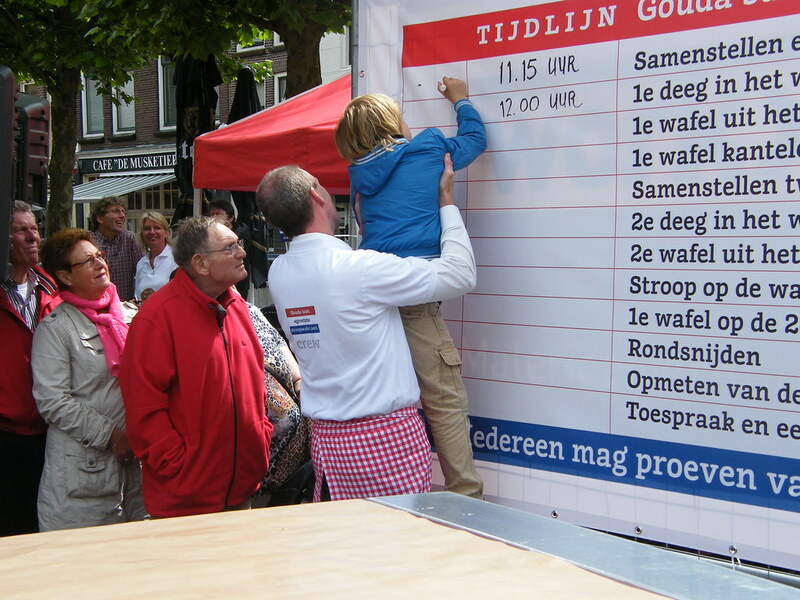 Wagener confirmed the world record and Gouda literally had the Biggest Syrupwaffle Ever in its hands. 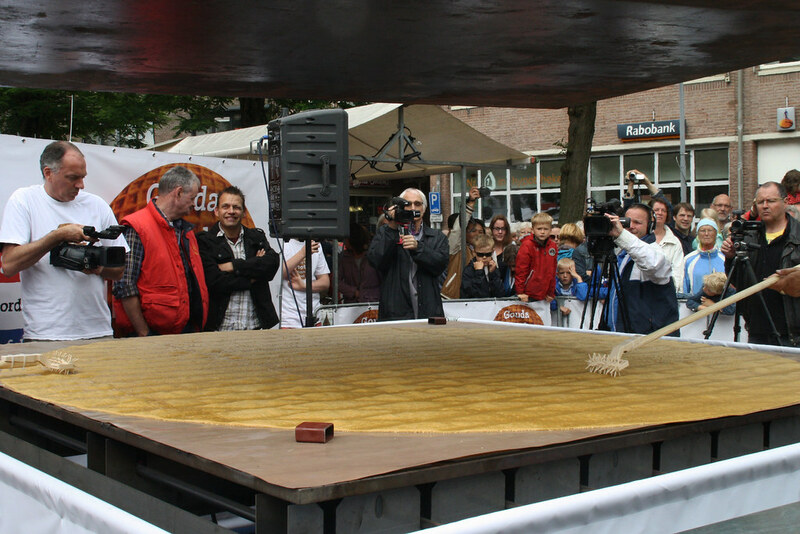 Exept for being mighty big, the Biggest Syrupwaffle Ever also had to be very tasteful. 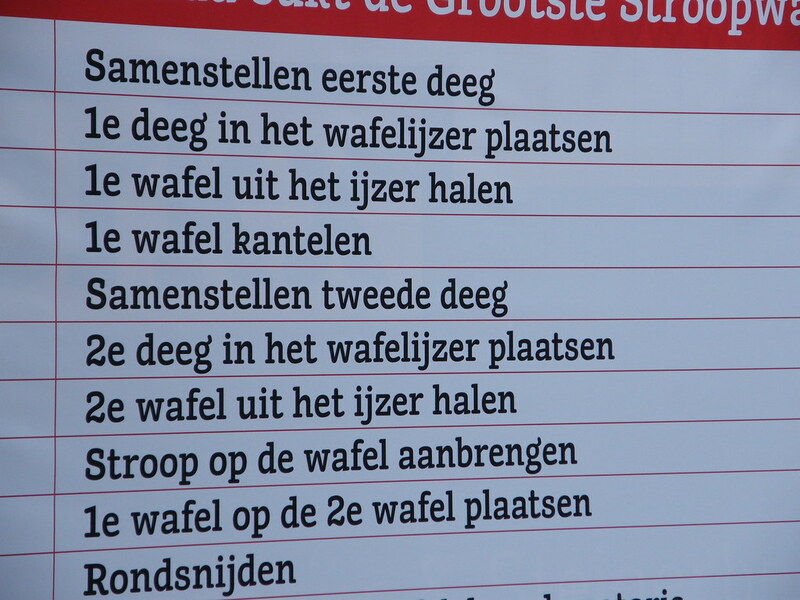 That’s why the waffle was baked according to the original recipe. 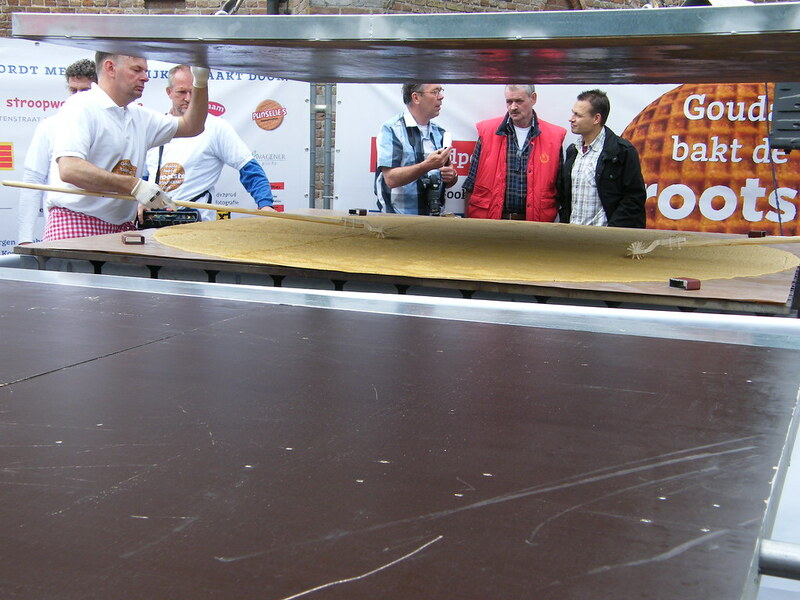 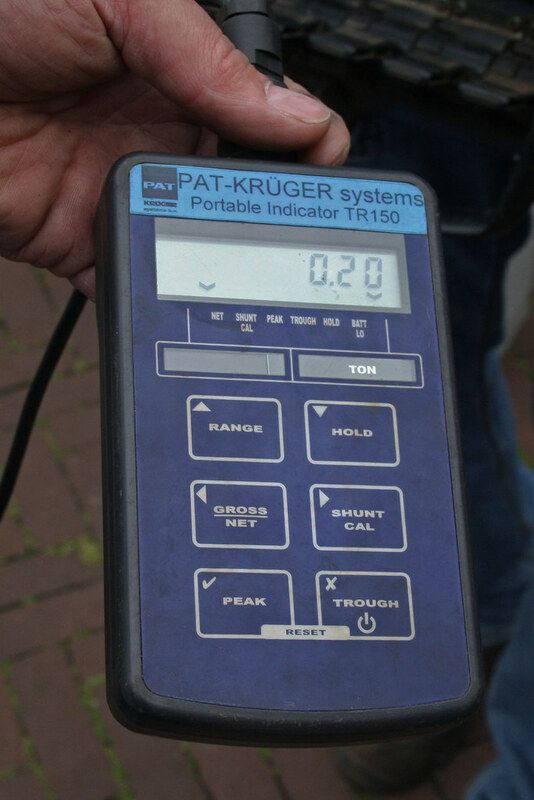 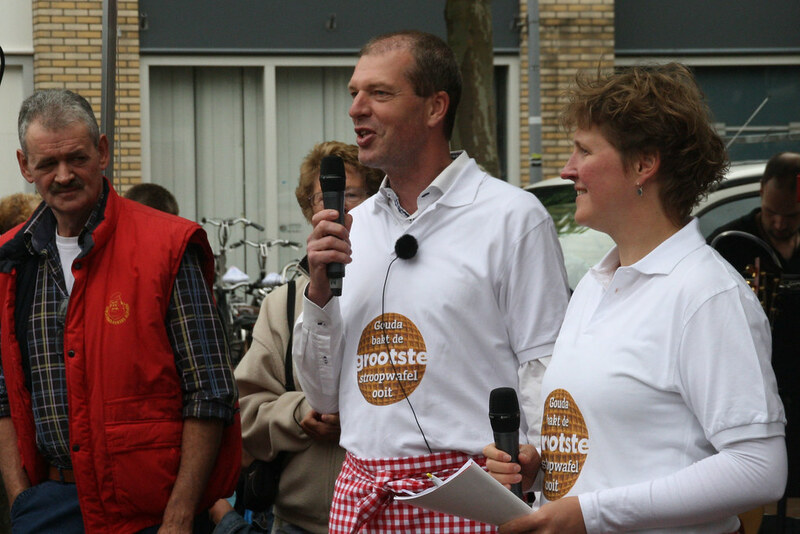 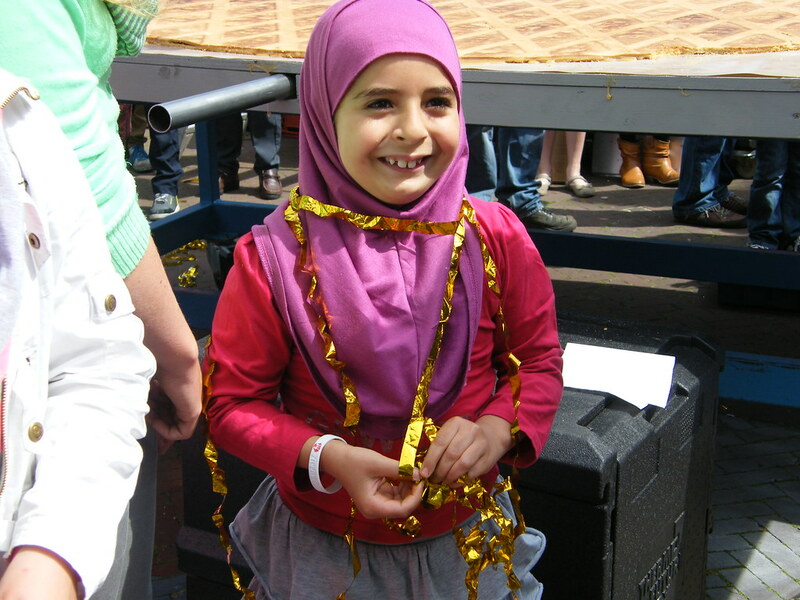 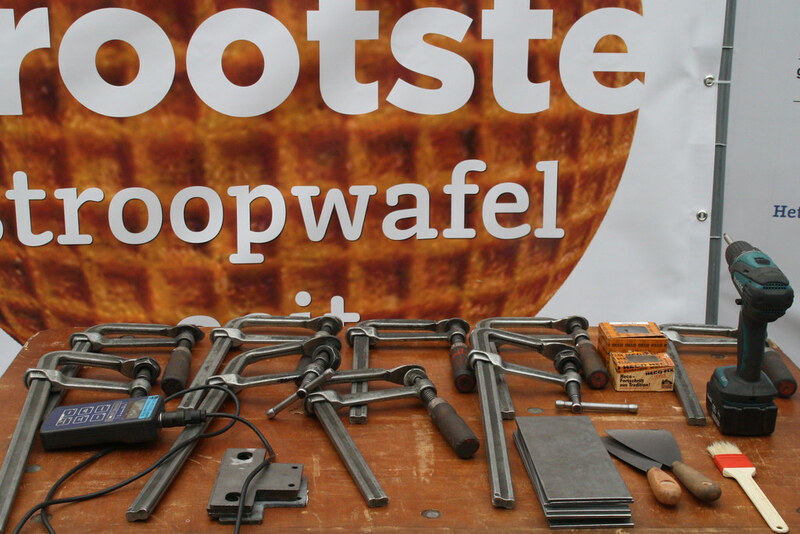 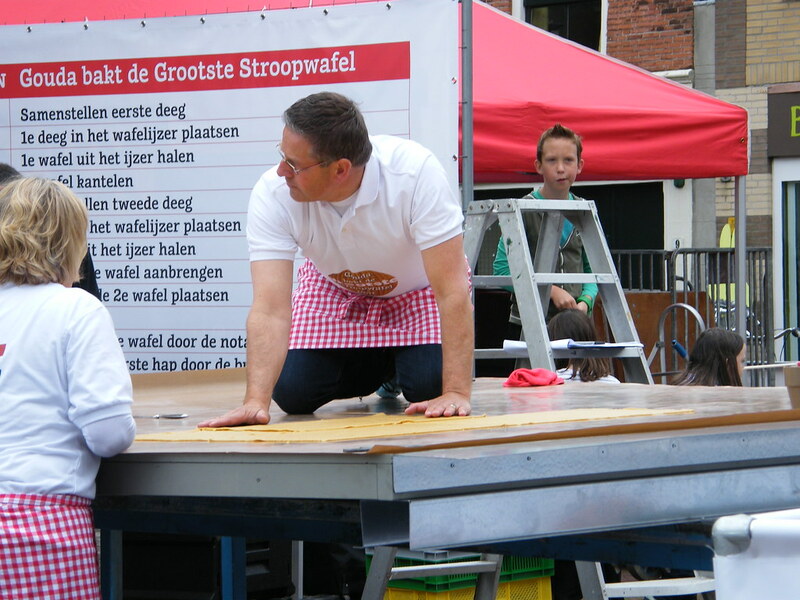 Syrupwaffle baker Martien Markus from ’’t Stroopwafelwinkeltje’ was closely involved and donated all the ingredients for this recordclaim. 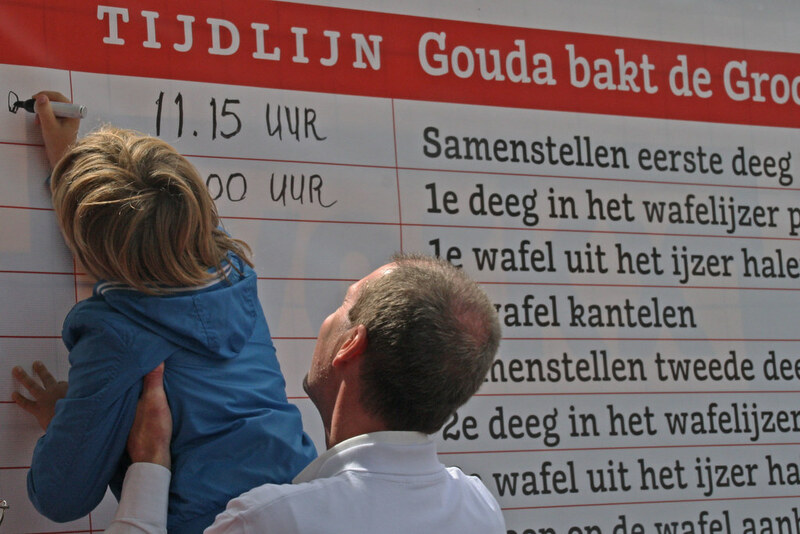 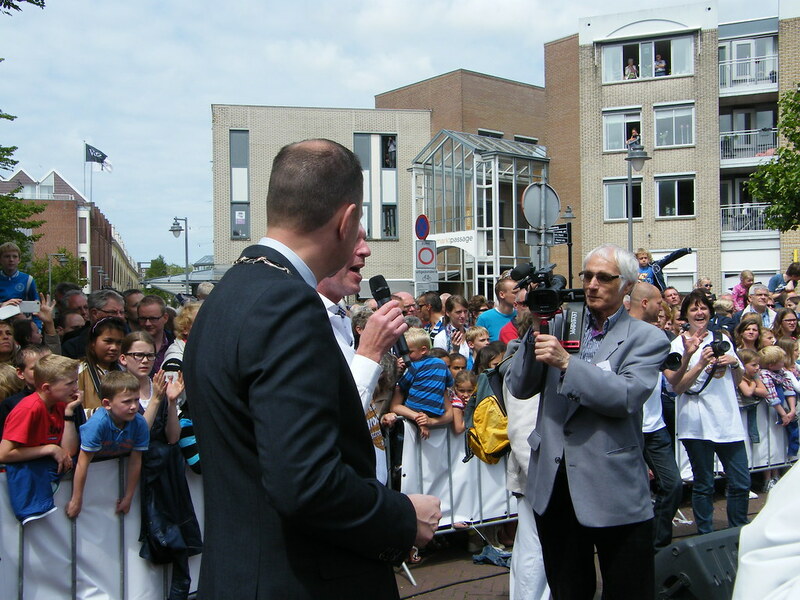 Mayor Milo Schoenmaker had the honour to have the first taste of the Gouda delicacy. 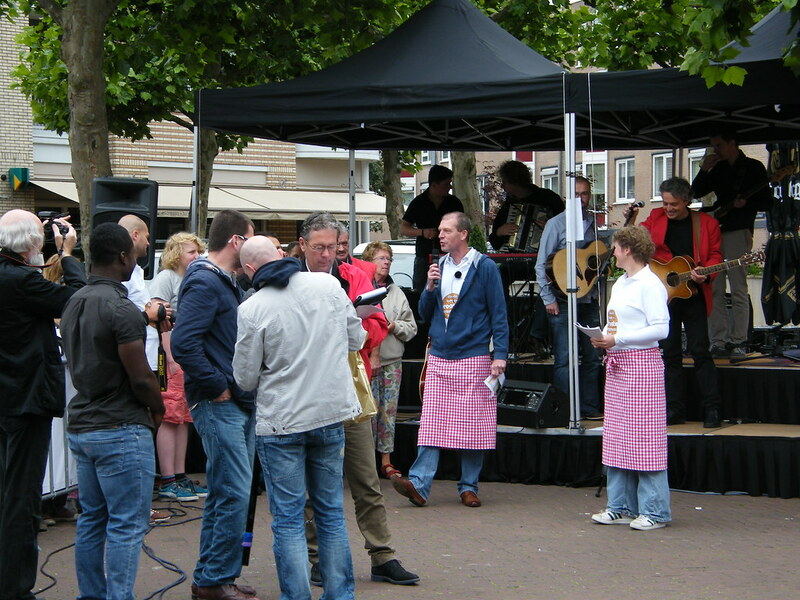 After that it was the publics turn. 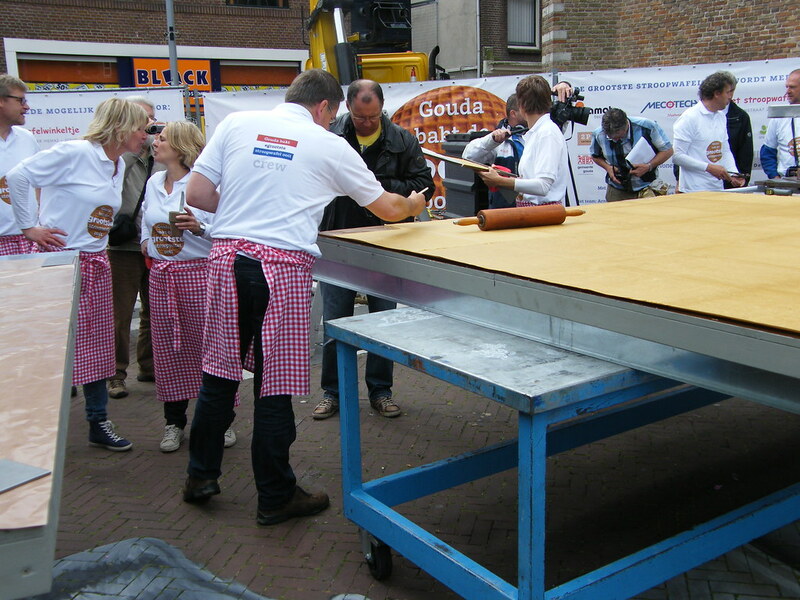 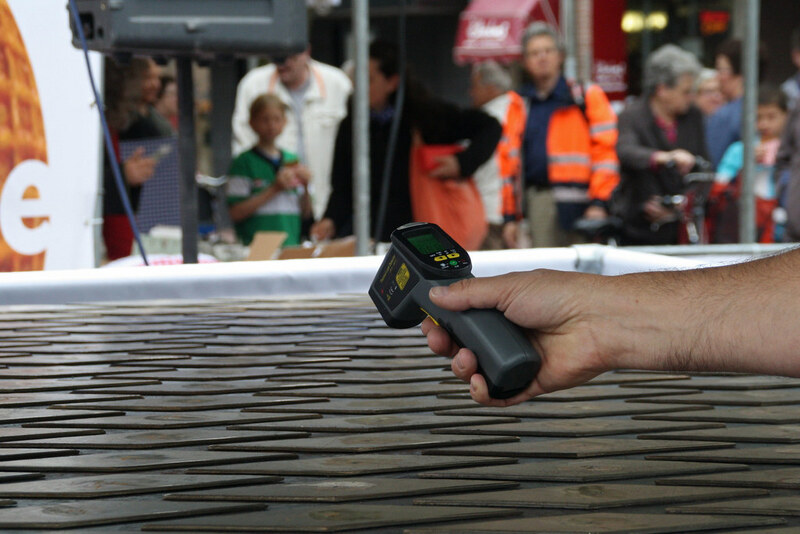 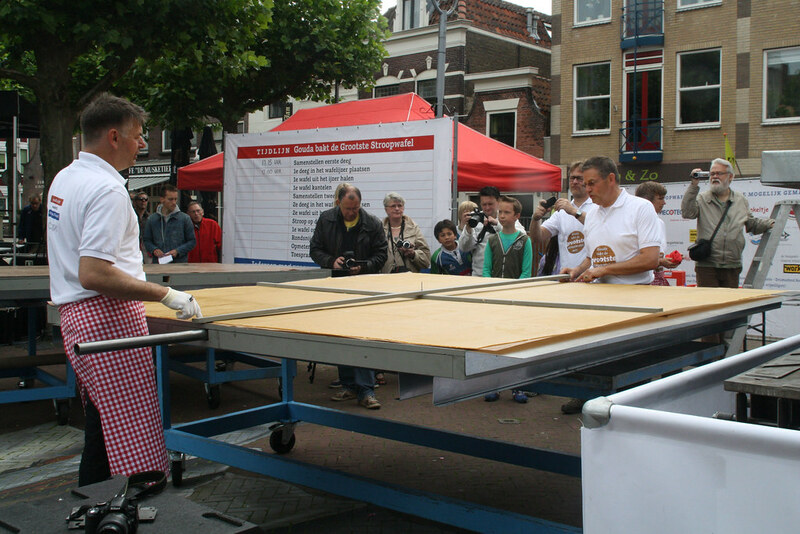 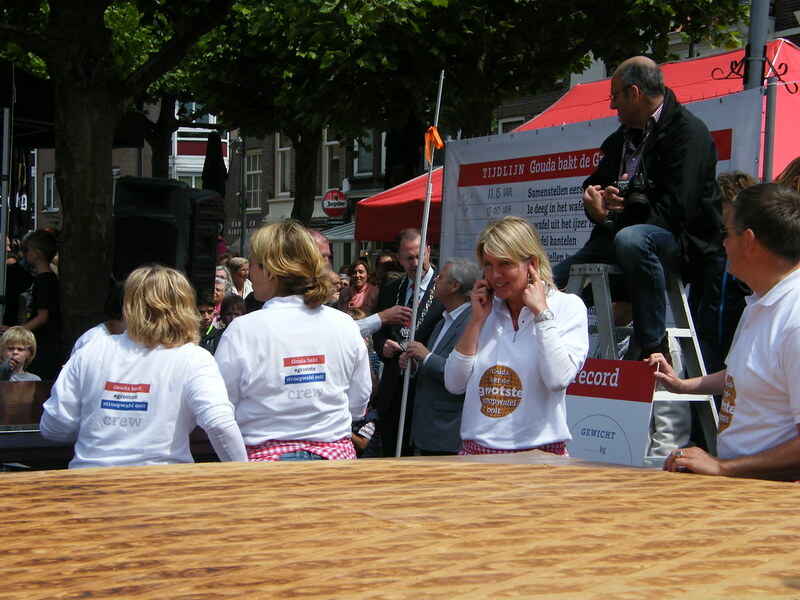 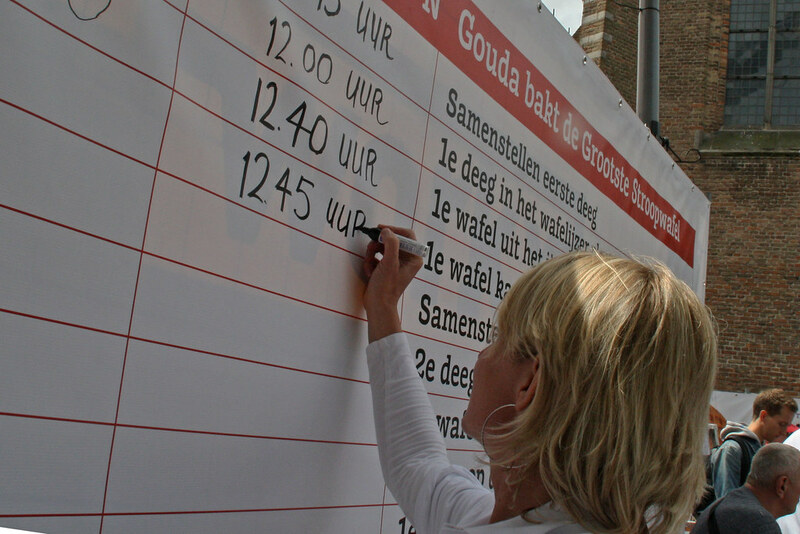 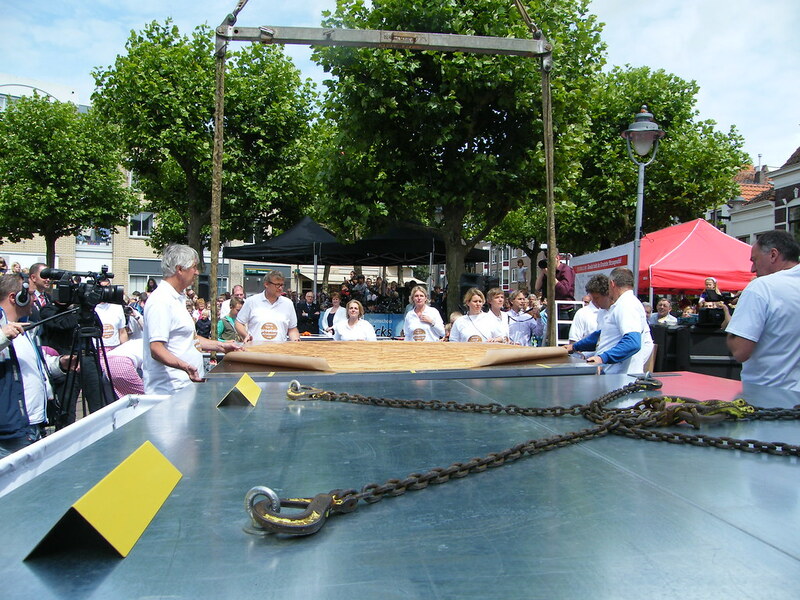 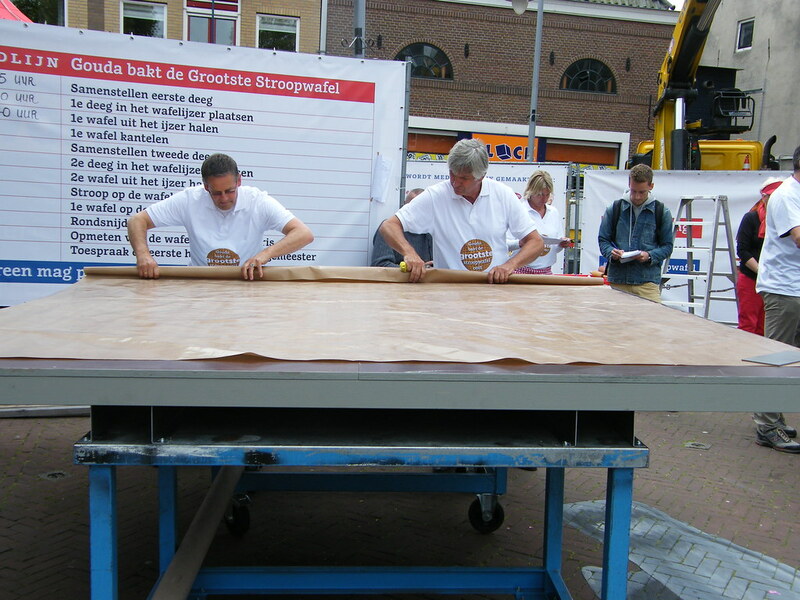 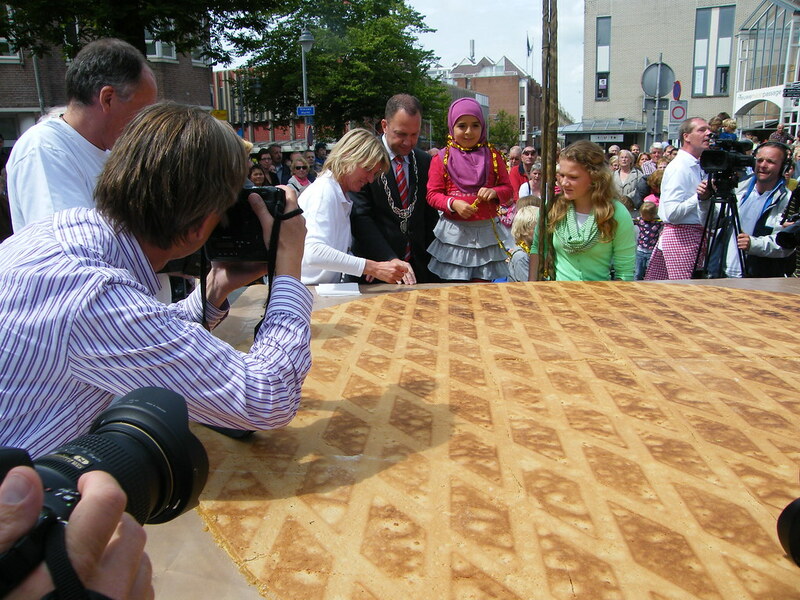 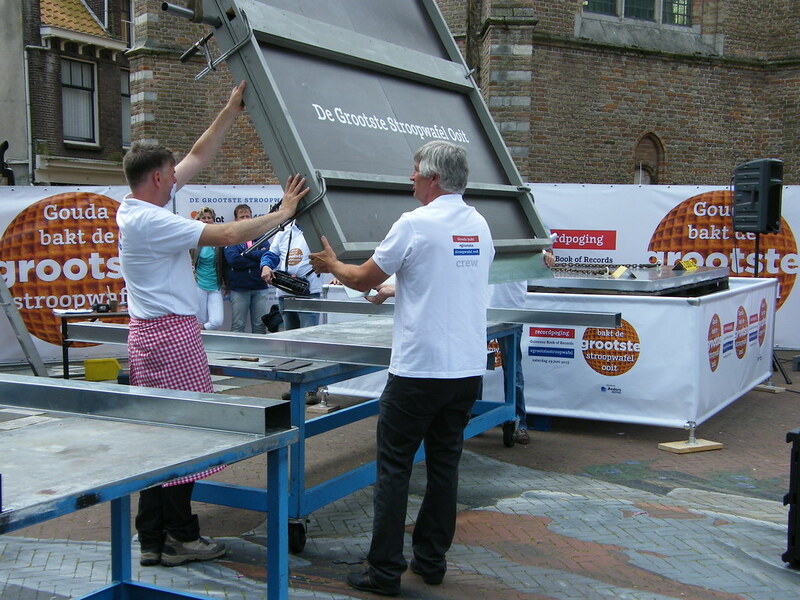 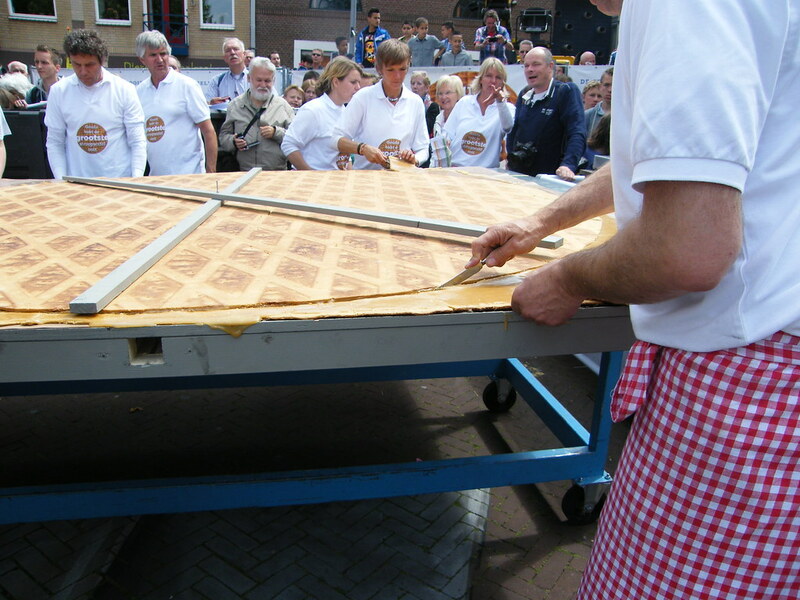 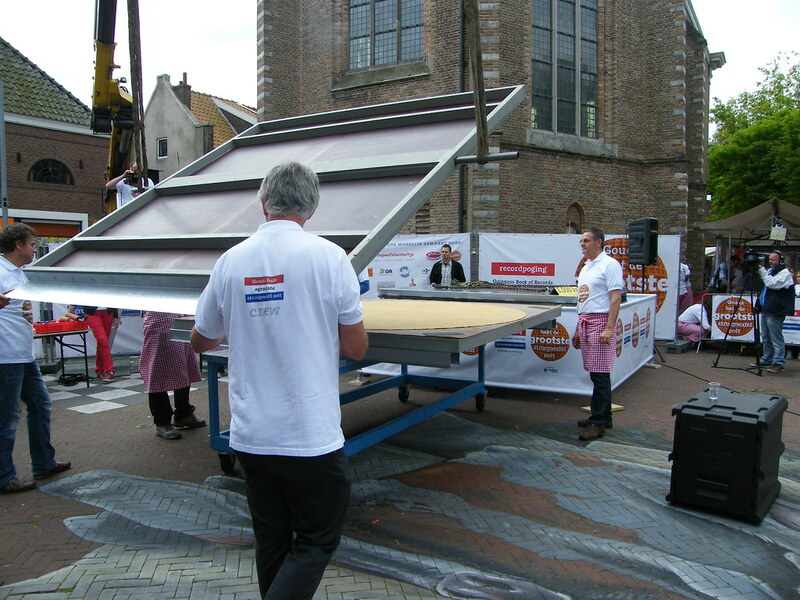 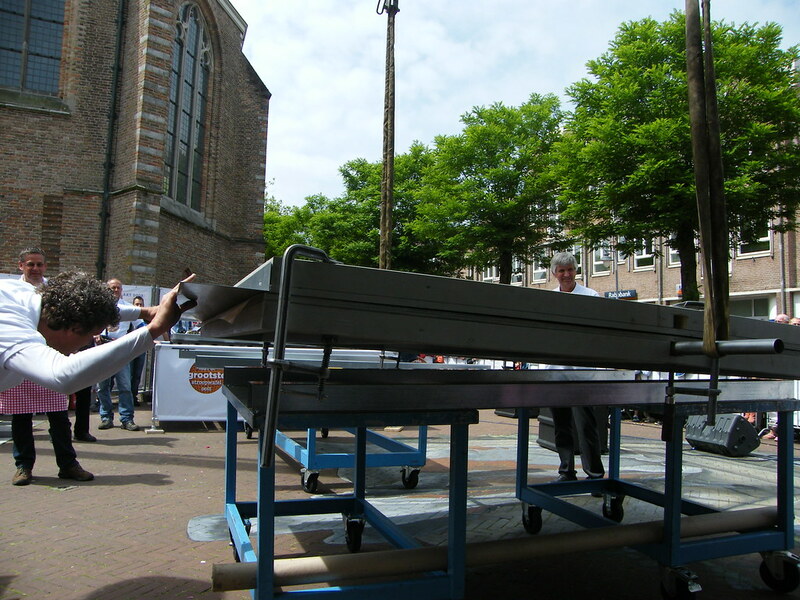 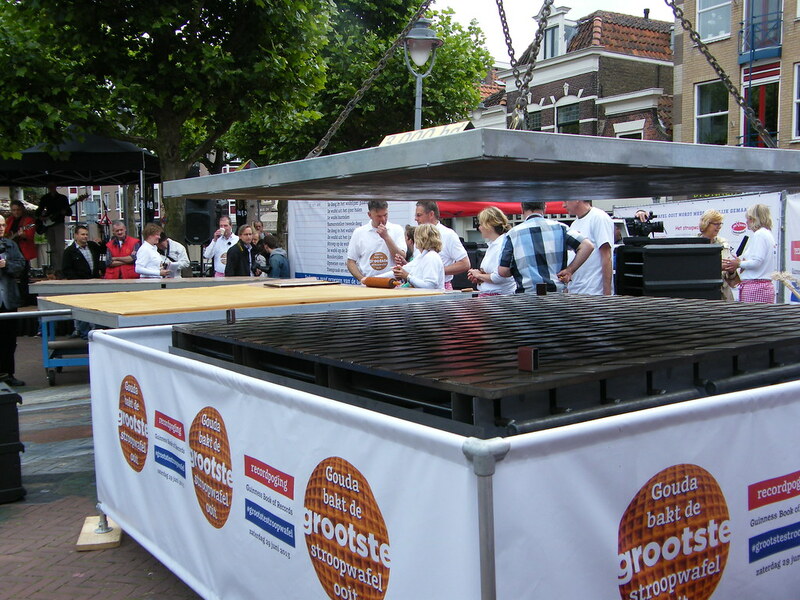 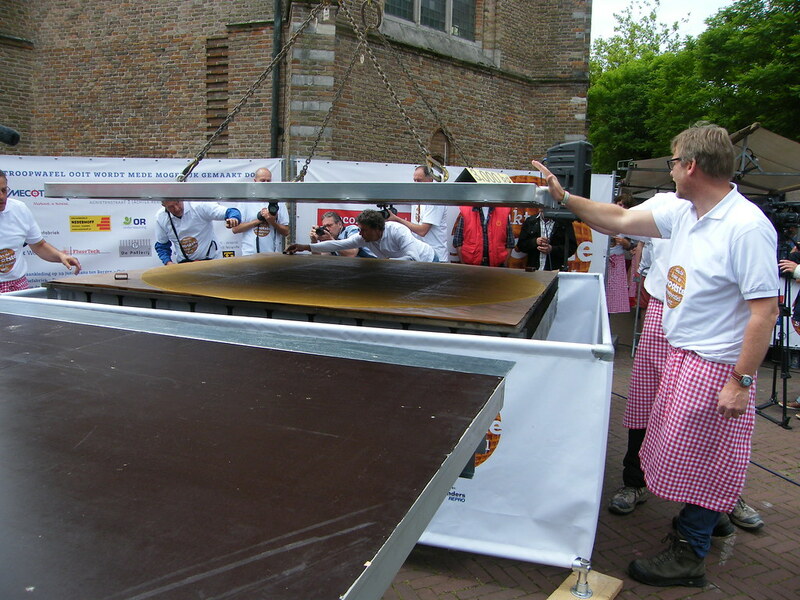 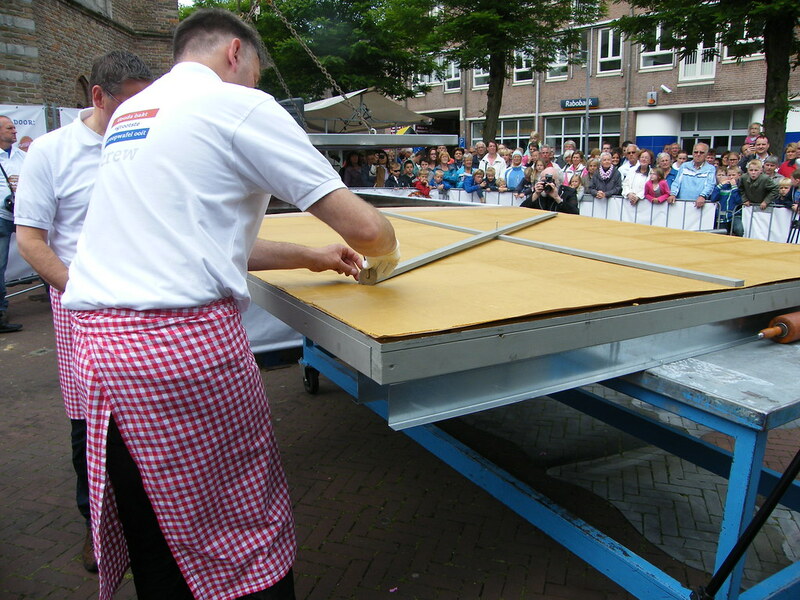 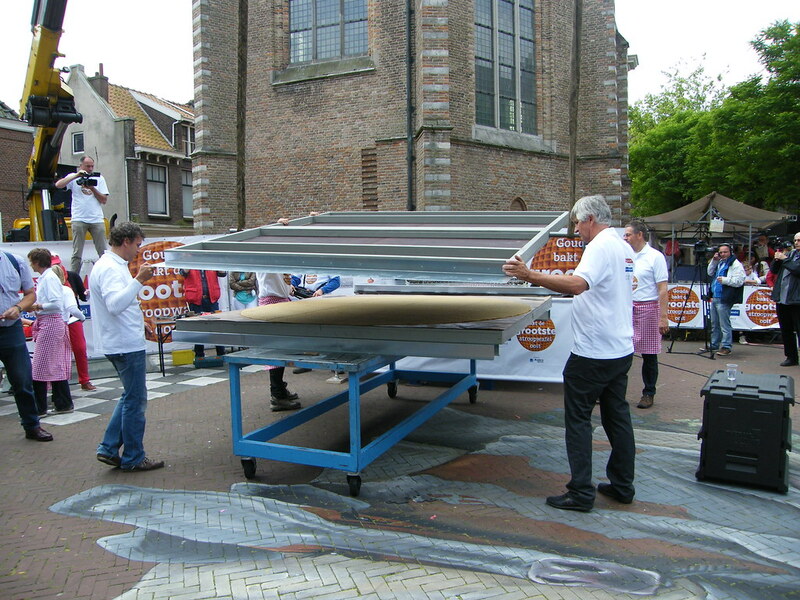 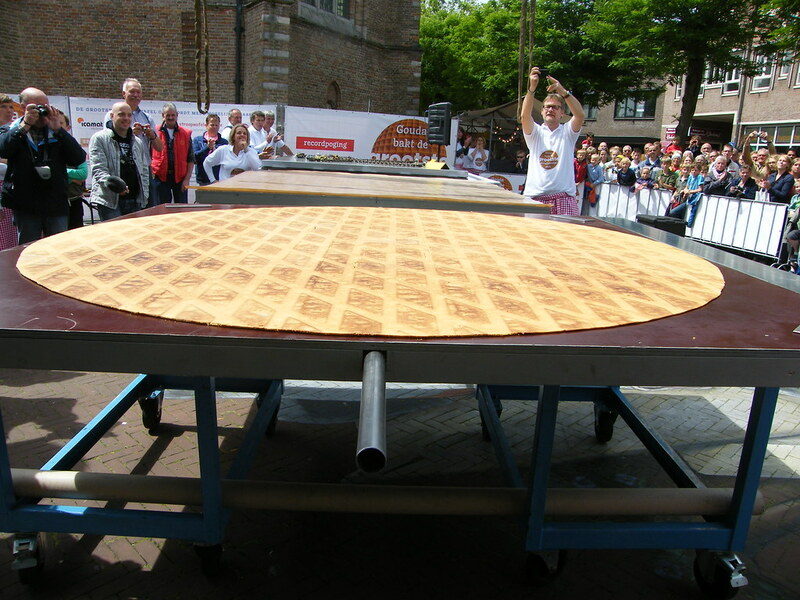 Baking the Biggest Syrupwaffle Ever was an initiative of seven inhabitants of Gouda. 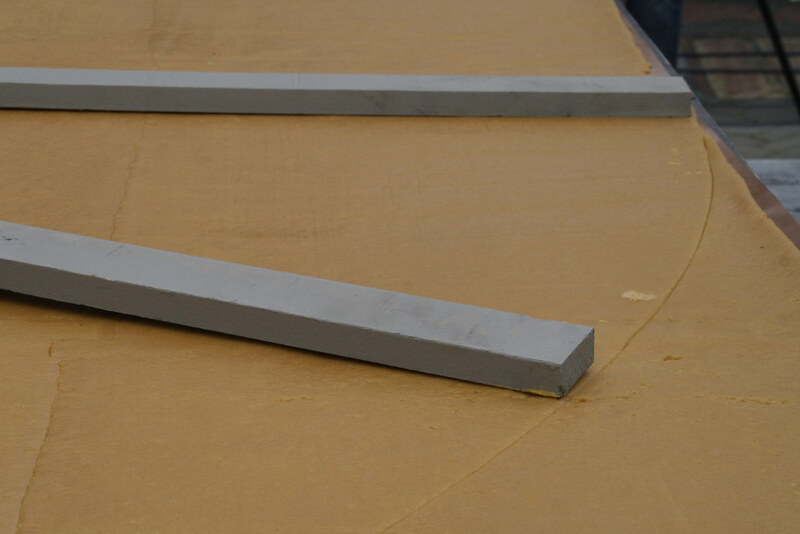 They were pretty hard on themselves. 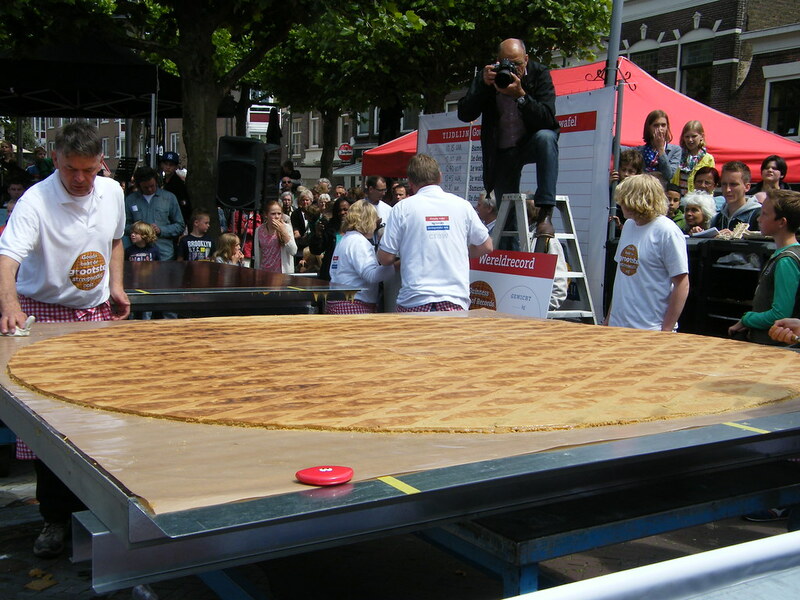 Because of the specific construction of the syrupwaffle, baking a waffle bigger than two meters technically appeared to be a mission impossible. 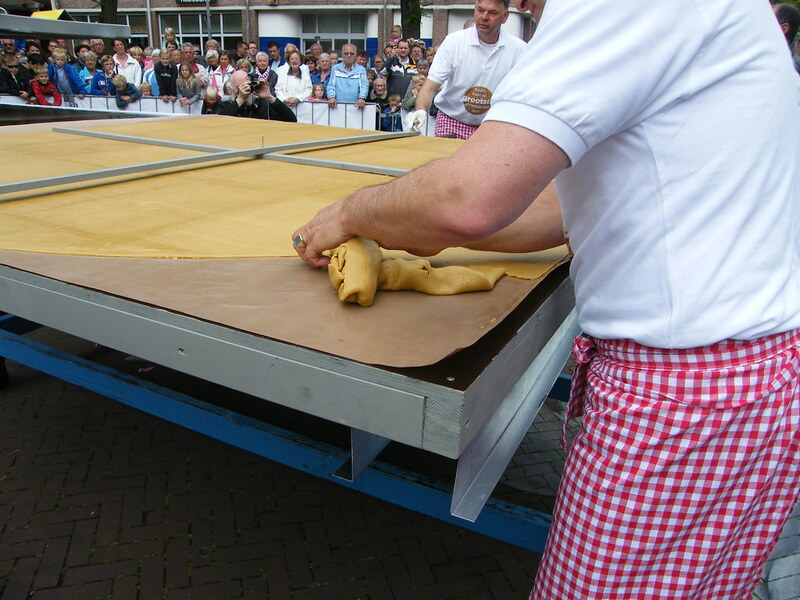 To make the baking proces to a success, the team has worked on the preparations for one and a half year.